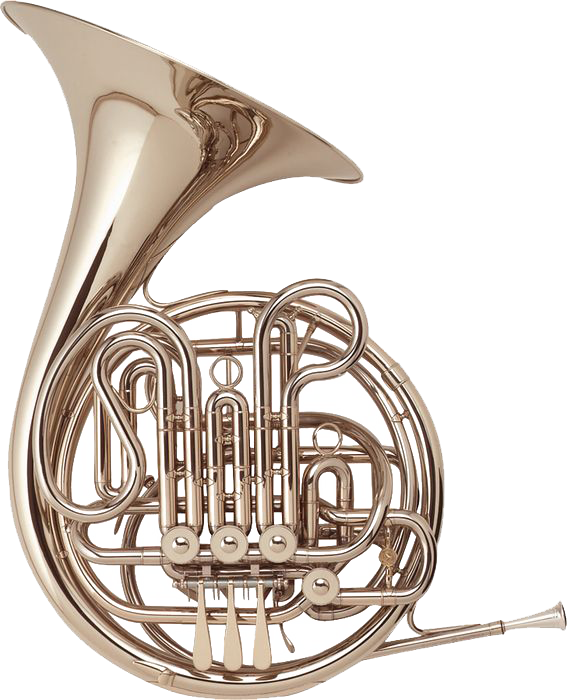 The world’s finest French horn just got better; the new H105 replaces Holton’s previous H104 flagship model. 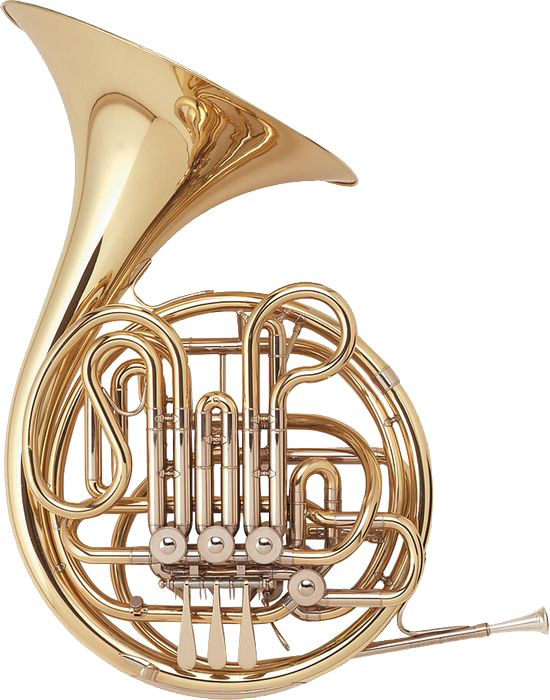 The pursuit of perfection has yielded a new-generation French horn of superior performance and superb intonation. The H105’s technological and acoustical flexibility enables the artist to perform in a wide variety of playing situations. Its 2 interchangeable mouthpipes with newly developed tapers make it easy to switch between work in small chamber ensembles and large symphony orchestras. The specially tempered red brass bell produces a rich, dark sound capable of great volume without getting brassy. Holton horns offer an alternative in design that creates a great experience for the young or advanced players. This kruspe model is the top model that holton makes offering a sound like no other with its bronze construction and interchangeable mouthpipe mechanism. This Farkas Wrap horn offers a large throat bronze bell and branch with a nickel silver body. In addition, it has an interchangeable leadpipe system for orchestral or chamber brass settings. Holton horns also feature tapered rotors which create longevity for the instrument. Valve rotors Tapered hand-lapped brass with nickel silver outside casings. Slides Both inside and outside are hand-lapped nickel silver with rolled beads; short-length recessed slides for quick removal. Bell Large-throated hand-hammered specially annealed and tempered bronze, detachable, 12¼” diameter. Mouthpiece Genuine Holton medium-deep cup. Waterkey On each mouthpipe for quick water removal. Case Ultra compact wood shell case with dual handles and brass hardware. Holton horns offer an alternative in design that creates a great experience for the young or advanced players. This Farkas model offers independent tuning for convenience allowing the player to tune the Bb side of the horn seperately from the F side. This Farkas Wrap horn offers a medium throat bell with all nickel silver construction. In addition, the Holton Farkas horns all feature an independent tuning slide for the Bb side of the instrument for convenience. Holton horns also feature tapered rotors which create longevity for the instrument. The Holton H179 Professional Farkas French Horn is regarded among working professionals and leading academics as the flagship of the Holton line. It produces the centered tone sought by all players. True temper makes it a delight to fly over even the most difficult passages. 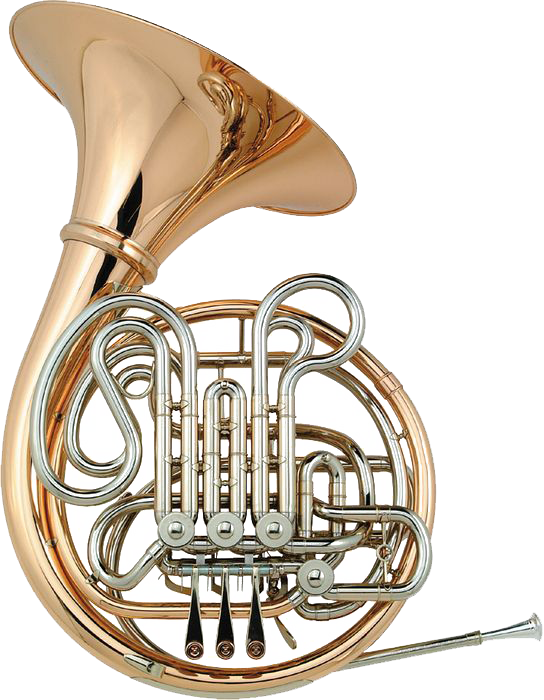 The solid nickel silver edition of the model H179 French Horn has especially good center and projection. This free-blowing Farkas horn features a rich, dark sound designed especially for the “big horn” artist. The tapered tubing and throat of the bell are larger for a bigger, darker tone. The bell flare produces a mellow, velvety tone plus a little overtone of a ringing quality. Hard nickel silver responds quickly and sounds brighter up close. 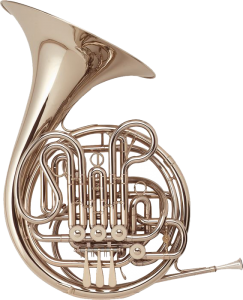 Holton- Bb/F double French horn, Farkas The solid nickel silver edition of the H178, model H179 has especially good center and projection. This free-blowing horn features a rich, dark sound designed especially for the big horn artist the tapered tubing and throat of the bell are larger for a bigger, darker tone. The bell flare produces a mellow, velvety tone plus a little overtone of a ringing quality. Hard nickel silver responds quickly and sounds brighter up close. The solid nickel silver edition of the H178, model H179 has especially good center and projection. 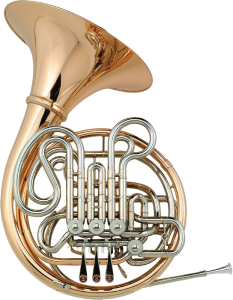 This free-blowing horn features a rich, dark sound designed especially for the “big horn” artist; the tapered tubing and throat of the bell are larger for a bigger, darker tone. The bell flare produces a mellow, velvety tone plus a little overtone of a ringing quality. Hard nickel silver responds quickly and sounds brighter up close. The most popular Farkas model. The lowdown: Key of Bb/F double, .468″ bore; 12-1/4″ bell of hand-hammered nickel silver; large-throated .310 venturi of nickel silver; noiseless string action, short stroke with stainless steel spring; solid nickel silver slides inside and out; tapered hand-lapped brass valve rotors; nickel silver finish. Material Tapered brass Branches, bows and ferrules: Nickel silver. Both inside and out are solid nickel silver. Bell 12.25" diameter large-throated hand-hammered nickel silver. Fixed. Mouthpiece Farkas Medium Deep Cup. Options Extra-long main and Bb tuning slides, detachable bell and flat case available as model H279.